You are currently using the site but have requested a page in the site. Would you like to change to the site? 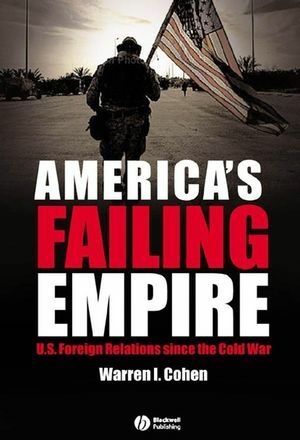 This sharp and authoritative account of American foreign relations analyzes the last fifteen years of foreign policy in relation to the last forty years, since the end of the Cold War. Includes suggestions for further reading. Warren I. Cohen is Distinguished University Professor at University of Maryland at Baltimore County and Senior Scholar at the Asia Program, Woodrow Wilson Center. He has written nine books and edited eight others, including America's Response to China (4th edition, 2000), East Asia at the Center: Four Thousand Years of Engagement with the World (2001), and Asian American Century (2002). Contains a sharp and authoritative account of American foreign relations of the last forty years, with an emphasis on the post-1989 period.